The Exhibition “Guixe ³: Event, Experiment, Essay” will take place during the Salone del Mobile di Milano 2014 (2014 Furniture Exhibition in Milan). 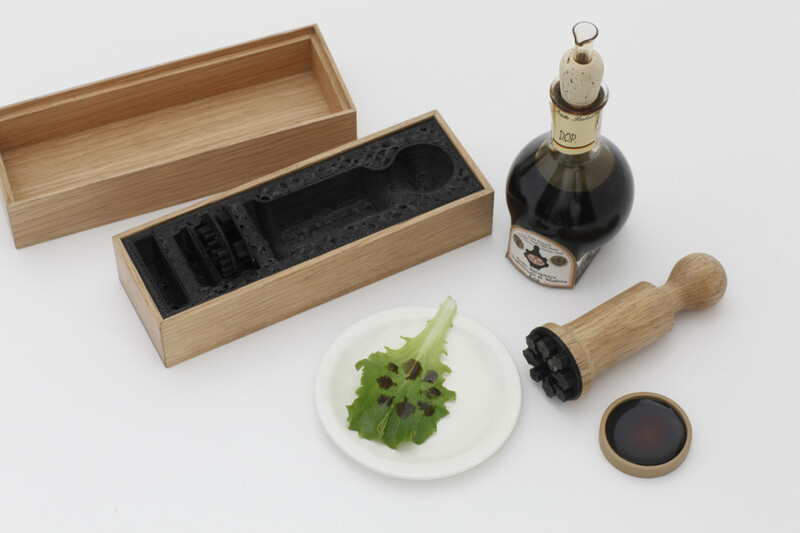 Marti Guixe is more than a designer, he is a contemporary life reader; he looks at the present time and interprets it by designing objects, “handy works of art.” He surprised and impressed us with his idea to create a tool apt to stamp foods – and not paper – using our Traditional Balsamic Vinegar of Modena (ABTM) instead of ink. A special ink made of two ingredients: the cooked grape must and the ageing time, recognized in its traditional typicality as PDO (Protected Designation of Origin). You need just a few drops of ABTM to transform a simple taste into a delicacy. Traditional Balsamic Vinegar of Modena seals its flavors and scents with this new exhibition. A stamp that leaves colour, flavour and scent. Event: An event a day of new types of products. Essay: Exhibition of furniture, lamps and accessories. Event # 2: Thursday, 10/04 at 18:00. Presentation of Antica Acetaia Villa Bianca.